It’s always a temptation to think that you can save money by developing your own website rather than paying a professional website designer. After all, there are many free tools available to help everyone, even a beginner, to put together something that looks pretty good with the minimum of effort. But is this a false hope? Developing your own website takes the risk that you will make mistakes a professional will not, you will miss out on time-saving shortcuts, or you will spend time re-inventing the wheel. A professional web developer will avoid all these pitfalls. Time is money. 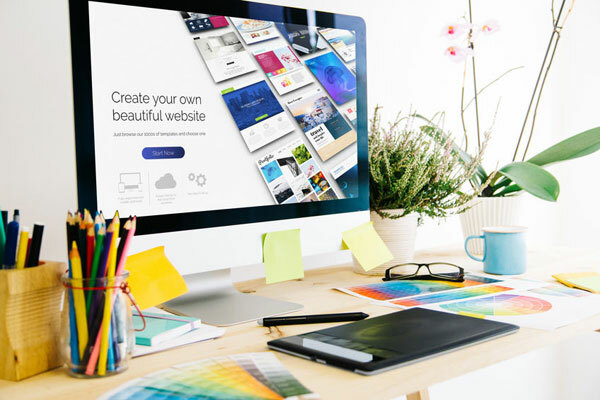 You might be able to develop your own site using a DIY website builder, but how long will it take you? Without the necessary experience in site-building, you will be constantly re-inventing the wheel, and spending un-necessary time solving problems an experienced website developer would have encountered before. Your valuable man-hours would be better spent building your business, not your own website. Tools for the job. Professional website developers have all the software tools needed at their fingertips. They are experts on everything from SEO, analytics and reporting to graphics, imagery and content. Unless you have access to the same sort of tools, software and information, you won’t be able to do as good a job as a professional website developer. The final product. If you want a first-class website, you need to be able to compete with others built by professionals. A DIY effort can look just that, and won’t present your business in the best light. Cost. It’s hard to say until you get quotes for the job just how much it will cost you. But you may find that a competitive bid is surprisingly affordable, and you’ll be safe in the knowledge that you will end up with a good looking and fully functional website. Time. Yes, you could bash together a DIY website quickly, and a developer will take a lot longer doing a perfect job. But working with your developer on revisions and edits may well save time in the long run, as you won’t be trouble-shooting your own DIY work far into the future. Selection. There are a lot of website developers out there, and obviously some are more experienced, skilled and professional than others. Choose carefully using your own research, references, and their portfolio of work. Have conversations to make sure they share your business values, and make sure your contract specifies exactly what you expect to get for your money. Should I Hire A Web Designer Or Do It Myself? So there are advantages to the DIY website building approach; it can save you money, you get to work at your own pace, and after all, you know your business better than anyone. But none of these considerations make sense if you end up with a DIY website which is slow, unreliable, or not mobile-friendly. If your website doesn’t sell your product or service, your effort has been wasted. Get input. Colleagues, friends and customers will be able to tell you what they want to see, and how it should work. Don’t assume you know best about everything; maybe you are too close to the subject. If your website is full of jargon, buzz-words and assumptions about your customers’ level of engagement (what author Lee LeFever calls The Curse of Knowledge in his book The Art of Explanation), maybe you need outside input to set the right tone. Consider your strengths. You may know all about food, or shoes, or books, but are you an expert on marketing, website design or content creation? Work to your strengths, but call in the professionals when you want a really first-class result. Don’t work piecemeal. A website cobbled together in short sessions is never going to look smooth or professional. A website designer working to a brief will be able to concentrate on a project over a managed timescale. How Much Does It Cost To Hire Someone To Build A Website For You? So, how much does it cost to hire someone to build a website for you? This is one of those ‘how long is a piece of string?’ questions. No fixed figure could take into account all the possibilities of website design, so it’s best to discuss the job with your developer, and get a quote for the job, as well as additional services such as on-going social media management. SEO – Search Engine Optimisation, including keyword research, content strategy, search architecture, blogger outreach and content marketing. PPC management – Pay Per Click, including AdWords, Bing, re-marketing and display ads. Custom Design – including user journey mapping, information architecture and back-end systems integration. E-mail marketing – including strategy, template design and mailer setup. Social Media – including marketing lists, campaigns, lead generation and demographics. Digital content strategy – including brand storytelling, native advertising and brand voice development. Take a look at case studies to get an idea what you want included in your website developer contract, and you’ll soon realise that the costs involved will be well worthwhile in the benefits they’ll bring to your business. So, Should You Hire A Professional Web Developer? If you want your website to be more reliable, more robust, faster, better-looking and more user-friendly, using a professional web developer is certainly the way to go. The DIY alternative, while it might have some initial appeal in terms of cost or the amount of control you have, will almost certainly prove to be the less effective option for your business in the long term.